We call them zombie vaccine tropes, beliefs of the anti-vaccine world that keep reinventing themselves and come back alive, despite being dismembered by skeptics and scientists all of the world. One of the most annoying zombie tropes has been the MTHFR gene and vaccines – the trope states that it’s dangerous to vaccinate a child with the MTHFR gene mutation, which really isn’t supported by scientific evidence. I never know what causes trope to start, and why it returns from the dead, but MTHFR gene and vaccines seem to be one of them. Let’s take a look at the MTHFR gene, and why there might be an issue with vaccines. If you are a regular reader of this blog, you know I’m not exactly a fan of vitamin supplements. They are expensive, and they don’t do what people want to believe they do. They do not reduce the risk of any cancer. They do not improve bone health. But I always forget to mention an important exception – prenatal vitamins and supplements that are well known to improve pregnancy outcomes. And now it’s time for me correct this egregious oversight on the part of the feathered dinosaur’s body of work on supplements. Just to be clear, I always state an important caveat on my dismissing the usefulness of vitamins and supplements – those individuals with chronic disease or malnutrition may require supplements. For example, if you never touch a fruit or vegetable, you will probably need vitamin C to prevent scurvy. No, I didn’t say that vitamin C will prevent cancer, but it will prevent one disease. I have a love-hate relationship with the internet. I love that I can Google a question like “who was the second basemen for the Pittsburgh Pirates in the 1960 World Series?” It was Bill Mazeroski for those who care. I don’t love that you can search for “MTHFR gene mutations,” and get a lot of nonsense. Although I think that Wikipedia needs to be used skeptically, it is a wonderful fountain of delicious knowledge. I sometimes just read random Wikipedia articles, and I enjoy the writing, scholarship and knowledge. Some articles, like World War II or the Roman Empire, are truly detailed pieces of scholarship. But sometimes, the internet does a disservice to mankind, especially when medical information (or really disinformation) is presented as fact. Like vaccines cause autism. No, it doesn’t. Seriously, it doesn’t. Or that chronic lyme disease actually exists. No it doesn’t. Or that high fructose corn syrup causes obesity and diabetes. No it doesn’t (except that eating a lot of any sugar might do that). But the newest one, at least for me, is that MTHFR gene mutations cause nearly every disease known to mankind, and is a reason why vaccines can be dangerous. Seriously, apparently MTHFR gene mutations are the root of all health evil, and the mutation is caused by…anything. California SB277 makes immunization mandatory for children attending schools in the state by removing personal belief exemptions for vaccination. These personal belief exemptions were abused by parents in pockets of California, causing immunization rates in some communities to fall precipitously. California SB277 should correct that abuse. The new vaccine requirements should increase the vaccination rate, as long as someone doesn’t find some loophole to abuse the system, because anti-vaccine parents tend to be a resourceful group. California joined two other states, West Virginia and Mississippi, with the most stringent requirements for vaccination for children before they can enter school. West Virginia State Law does not allow for non-medical exemptions to immunization requirements. Mississippi only allows medical exemptions (as does California), which allows parents to request an exemption for their child if there is a medical condition that contraindicates a vaccine. All three states require physician certification of medical exemptions. Interestingly, West Virginia legislators strengthened vaccination laws in 2015 by extending vaccination requirements to preschoolers. And it created the position of state Immunization Officer, who is responsible for ruling on the validity of requested medical exemptions in an unbiased manner. Maybe California could implement such a position. The results of these strict enforcement of exemptions are significant reduction in incidence of diseases. For example, Mississippi has not had a case of measles since 1992, and West Virginia since 2009. On the other hand, there was a relatively large measles outbreak at Disneyland in 2015, where 134 individuals (mostly Californians, though residents of six other states and two countries) were infected with the disease. California SB277 became effective on July 1, 2016, so this is the first school year where the mandatory vaccine requirements were in place. Unfortunately, because of that prior abuse of personal belief exemptions in California, there are still communities at risk for vaccine preventable diseases. A measles outbreak in the Orthodox Jewish community in parts of Los Angeles struck 20 individuals. And when county health officers started tracking down the 2000 people who were in contact with measles patients, they found that over 10% of them were not vaccinated. A recent mumps outbreak in Los Angeles has stricken seven adult males who lacked vaccination to the disease (usually from the MMR vaccine). And last month, there was an outbreak of mumps amongst college students in Southern California. Hopefully, as we increase the vaccine uptake in California, the risk of these type of outbreaks will become lower and lower. Unfortunately, there is a loophole (I told you) in the California SB277 – the medical exemption only requires a letter from a physician, and it’s not further scrutinized as is done in West Virginia. And because there are numerous anti-vaccine doctors who ignore real science for their beliefs, there appears to be a growing cottage industry forming to make medical exemptions somewhat easily available. Documented autoimmune only – not suspected autoimmune such as fibromyalgia, chronic fatigue, Lyme or endometriosis. Those will not qualify. Documented diseases only. Not “getting sick a lot”. Studies are still pending, but include MTHFR, Some HLA subtypes. Bad reactions do NOT include fevers under 103, sore leg, cranky, getting sick a lot after, getting asthma after, having allergies after vaccination. This is a ridiculous list. Children with type 1 diabetes, for example, are more susceptible to and more at risk of complications from vaccine preventable diseases. If Dr. Zandvliet had any idea about diabetes, she would be strongly recommending vaccines for those children. 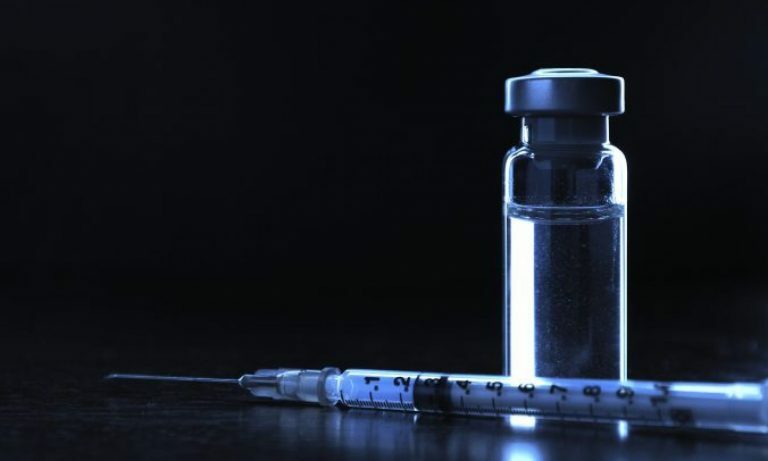 Ironically, the only treatment for type 1 diabetes is 3-4 times daily injections of insulin, whose package insert (pdf) would make any anti-vaxxer faint – vaccines should be a walk in the park for any child with diabetes. And should be required. Dr. Zandvliet also states that MTHFR gene mutation is a risk factor for vaccines. But that’s simply not true, and no reliable source says that this gene mutation is a serious contraindication for vaccines. Furthermore, her list of vaccine reactions actually may or may not be related to vaccines. The whole list is dependent upon parental memory and post hoc logical fallacies. Finally, as Orac points out, the actual list of real contraindications for vaccines is rather limited – severe allergic reaction to the vaccine or its components, which will be obvious to anyone, is the major one. But I suppose, to get the vaccine medical exemption, people will try to make that claim. And because California relies upon the word of the physician rather than an independent, unbiased party, like West Virginia’s Immunization officer, there will be no way to dismiss this problem. The charges against Sears cannot help but create a stultifying effect on pediatricians who have been merchandising themselves as anti-vaccine practitioners, and on those who have been considering doing so. They are all thinking things through very carefully at the moment. The upside to writing slightly spurious vaccine exemptions is to build one’s medical practice and to gain the gratitude of anti-vaccine parents. The downside is the possible loss of one’s career. By the way, continuing a narrative that bothers me about the anti-vaccine movement, it feels like only white privileged types are going to be able to get these “for sale” medical exemptions. Dr. Sears practices in a swanky part of Southern California, and caters to wealthy parents. Of course, Dr. Zandvliet charges $120 for her “services” in providing medical exemptions. I’ve seen numerous other “ads” from physicians in the expensive areas of California saying that they’ll consider writing medical exemptions for children. As long as California SB277 increases the uptake rate for childhood vaccines, despite the exemption industry, the overall effect should be strongly positive. But we all await data from California on the exemption rate and vaccination rate – as I always say, it’s the evidence that matters, and hopefully we’ll get some good evidence soon. Google provides me with the search terms that result in clicking on a link to this website. I rarely look at them, but today I looked to find all of the search terms that were pseudoscience examples – some of them were hysterical. I wanted to do something completely different – away from the anti-vaccination hate-filled creeps, away from the anti-science GMO beliefs, and everything else. Let’s amuse ourselves with some of my favorite search terms over the past three months.